Bring your training to the next level with additional functions for your NGeco power meter! Every single is upgrade is available for 50,00 €. Any questions? Please contact our the p2m support team! 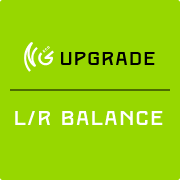 The L/R balance shows you the percentage each leg is contributing to your total power output. (power left = pressure on the left pedal + pull on the right pedal; power right = pressure on the right pedal + pull on the left pedal). 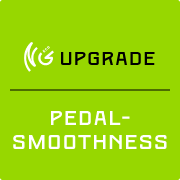 Pedal smoothnees is an advanced metric for riders who want to optimise their paddeling. It shows you how evenly power is applied throughout your whole pedal stroke. 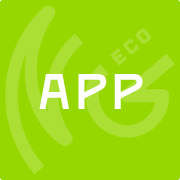 NGeco power meters collect the data for both legs combined. Transmission to your bike computer is only possible via ANT+. How to bring your upgrades to your NGeco? Download the power2max App from the Google Playstore or from the App Store for your iPhone and easily upgrade your NGeco! How to purchase the NGeco Upgrade? You will need the serial number of your NGeco power meter to purchase the upgrade! You find it either in the NGeco itself or on the white label tag on your NGeco box. Make sure you have it at hand, before you start the purchase process. Then, just click on the green button below! Any questions before the start? I accept the exclusion or premature termination of the right of revocation for the purchase of digital products.